KARACHI: The Sindh police on Tuesday ann­ounc­ed the arrest by UAE authorities of a key man of the banned Balochistan Liberation Army (BLA) who, they believe, facilitated the November 2018 attack on the Chinese consulate in Karachi. A senior official of the Counterterrorism Depart­ment (CTD) said that the suspect named Rashid Baloch was arrested by the UAE’s law-enforcement agency in Sharjah a few days ago. He was marked out as the key man behind the attack on the Chinese consulate, that was foiled by security forces but left at least seven people dead. Another fact, he said, that emerged during the investigation is that Rashid received Rs949,000 to his bank account just days before the attack and he arranged all the finances, logistics and cash support to facilitate the attackers. In November, three heavily armed militants attempted to enter the Chinese consulate in the ‘high security zone’ of Karachi’s Clifton but were shot dead in an encounter with law enforcers. The gun-and-grenade assault also claimed the lives of two police officials and two visa applicants, as well as injuring a private guard of the foreign mission. The BLA claimed responsibility for the attack. 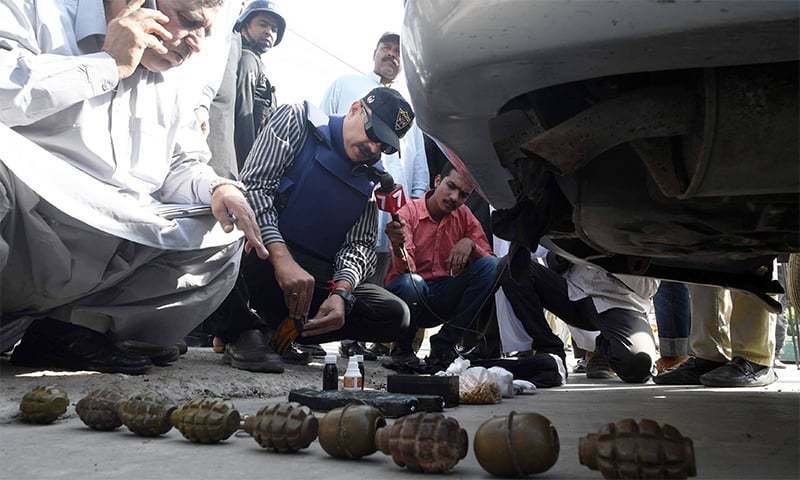 The Karachi police chief Dr Amir Sheikh had already shared with the media the key findings of the probe, that suggested that the attack was planned in Afghanistan and carried out with the assistance of the Indian intelligence agency, the Research and Analysis Wing (RAW). Before the recent arrest in Sharjah, the Karachi police had already claimed to have arrested some five facilitators from this city, Hub and Quetta during the investigation into the attack, that they believed was aimed at sabotaging the China-Pakistan Economic Corridor (CPEC) and create divisiveness between the two countries. “We have forwarded our request to our seniors for the safe return of the arrested suspect but definitely it may take time to channelise things and meet all the formalities. The two countries will be looking into the details of the matter and sort out things in line with the defined laws,” said DIG CTD Mr Sheikh.